Neoclassical style battery (1731-1739), built by Juan de la Ferriere and Juan Vergel. 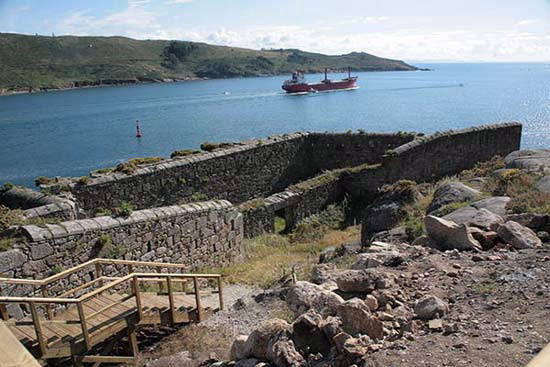 The battery was part of a fortification project for the entrance to Ferrol´ s river, and acted as a support for the castles of San Felipe, A Palma and San Martín. It faces in two directions, towards the river and towards the inlet. The outer walls are very large. Built using stone fragments. 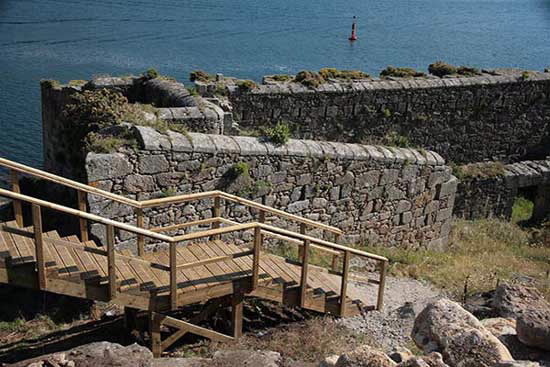 It is an example of military architecture with fine views over the tidal inlet. From Ferrol, passing A Malata, take the A Graña road to San Felipe, where you will see a sign for Cariño.